Back when the Google Glass Explorer program was starting up, there was a bit of a to do about the fact that users of the beta hardware were not permitted to sell their Glass units. 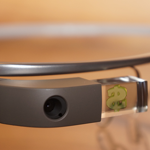 After some consumer uproar, Google amended their position to allow lending Glass to others on a limited basis. They still preferred people not sell Glass, and explicitly told Explorers that their Glass units would be disabled if they did so. That appears to have changed. Q. Is it OK for Explorers to try and sell their devices online? Will you disable the devices if they do this? A: The Explorer program is about taking Glass out in the world and seeing what's possible with the technology. We hope our Explorers are excited to do just that. While it's against our terms of service to sell your device, we don't plan on disabling any Explorer's device. It's clear that Google would still prefer you to keep Glass to yourself, which makes sense - these are basically long-term beta units, and there's a lot of value to be had in maintaining relationships with a small group of hardware testers. On the other hand, Google is about to quadruple the number of Glass units available to the public with an expanded series of invitations, and this sort of thing is nigh unavoidable with highly sought-after hardware. Selling Glass is still against the terms of service, so if you're trying to find one, getting an invitation (by whatever means available to you) is still the best option. Google might not honor any warranties or support for second-hand units.